Cute. They're very healthy looking. 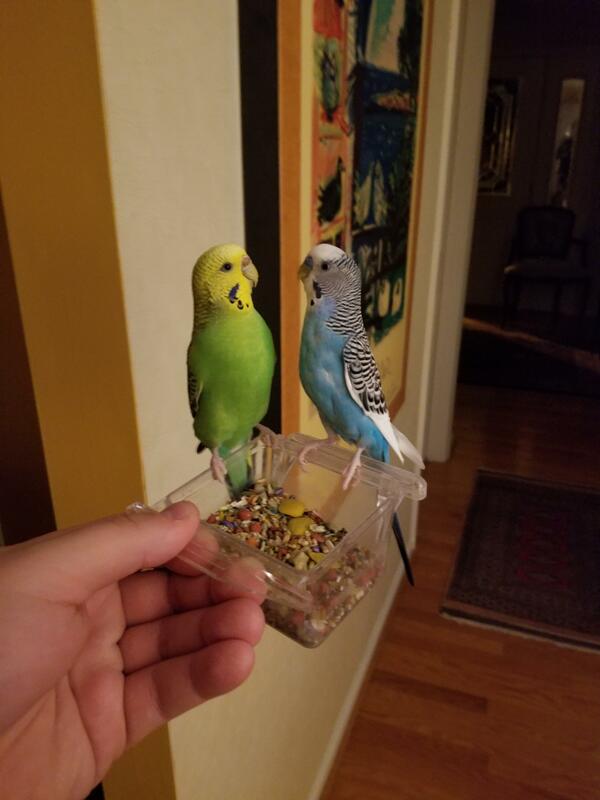 I feel like I'm spamming the forum, but I love sharing my budgies! Kiwi being super curious as always. Last edited by budgielyfe; 01-29-2019 at 02:49 PM. I think we all love looking at pictures and videos, the more the better. Kiwi looks so cute I love the close up, I can't get that close to mine with the camera they all freak out. I'm going to merge your picture and video threads of Kiwi and Ben into your"on-going" thread. That way you can share pictures and videos and they will all be in one place. Thanks, I almost posted it in here, but this forum is "Pictures" and the other was "Videos" so I wasn't quite sure if I should! No problem - you can post both your pictures and videos in this thread. Love the expression on their faces, don't you wish you knew what was going through those little budgie minds.